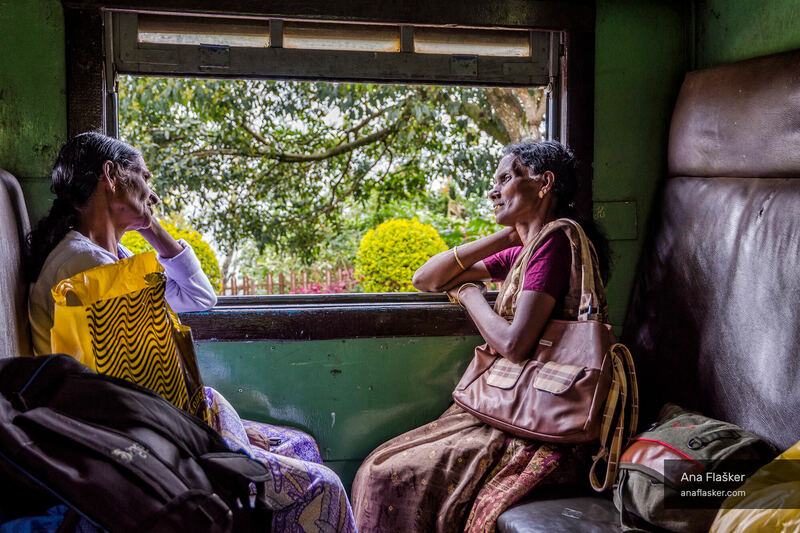 All those train windows that take our mind and let it go its own way … Trains in Sri Lanka usually very slow and packed. This one was an exception – at least for the first hour. Just two local ladies chatting their own stuff and letting their mind go thru the window.